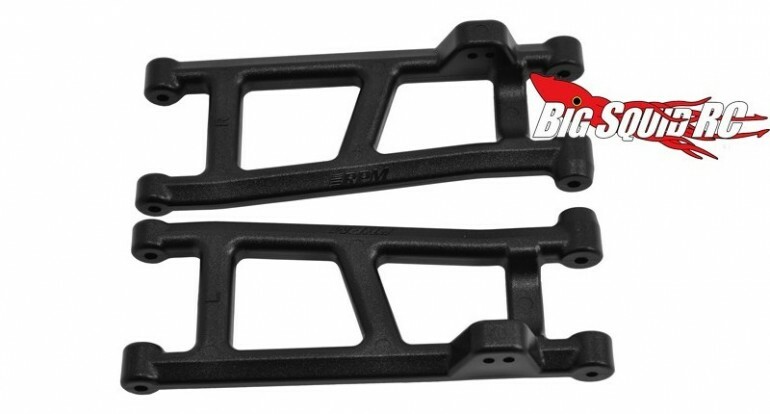 RPM Rear A-arms for 2wd ECX Torment, Ruckus & Circuit « Big Squid RC – RC Car and Truck News, Reviews, Videos, and More! RPM has new rear a-arms for the ECX Ruckus/Circuit/Torment. Not only are the RPM arms much stronger than the stock units, but they are also higher performance. The RPM arms are built to tighter tolerances and are 21% lighter than the stock arms. Stronger, plus higher performance, plus lifetime warranty, equals winning! The part number for the rear arms is #70462, they are priced at $11, and they should hit the market at the end of the month. Click Here to get complete details over on the official RPM website. Want more RPM news? Find more at This Link on BigSquidRC.